Happy Catholic Book Club Wednesday, everyone! It's been a little while, hasn't it? We skipped July, and then I didn't have the August book finished in August, so it feels like a long time. But I have to say, I'm back to thinking about the book club, and it's all exciting! It's September, fall is in the air, it feels like a good time to settle in with some books, yes? The book I'm about to discuss is a YA title, and later in the month we have a novelized spiritual memoir. I'll talk about my ideas for future titles at the end of the post, OK? And you can chime in too! So this book is part of a larger series, John Paul 2 High. All of the books are available from Amazon in print and for Kindle. They have been reissued of late by Chesterton Press in a coordinating color and photographic scheme, and are quite lovely to behold. I have the entire print run of books, and I'm looking forward to sharing them with my kids when they get to be high school age. It's been well over a year since I read Books 3 and 4 (which came out in close succession), so when I picked up Near Occasions I was having a difficult time remembering some of the events that the characters were talking about. I will say, although it is obviously ideal to read these books chronologically as a series to get the most out of them, it *is* possible to read this as a stand alone book, because it felt like that is what I did given the time lapse. And I was able to follow along just fine. 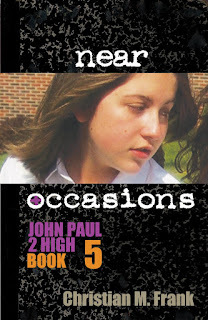 Have you read any of the John Paul 2 High books? What do you think? Later in September I'll be reviewing Chasing Francis: A Pilgrim's Tale, by Ian Morgan Cron. I started this book last night, and !!! I LOVE it. It reads like a spiritual memoir, but it's a work of fiction about a megachurch pastor having a crisis of faith and turning to Franciscan spirituality. I think I got this during a sale, but it's priced at $10.99 right now for Kindle, similarly for paperback. I'd think the chances of your public library having it are pretty decent, as well. I hope that some of you read this one along with me! A quick housekeeping item before I sign off: future titles for the book club. For October, I'm thinking of listing a children's book. Unusual, yes, but still worthwhile, in my opinion. This is something I got for Henry, so for middle readers. Thoughts on this idea? Also, do you have titles you'd like to suggest for us to read this winter? Do leave those in the comments! 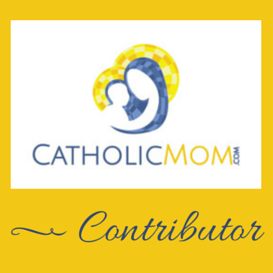 I am a fan of the JP2 High books. I read this installment closer to when it came out so I'm a little fuzzy on the details of it now. However, I never fail to want the next one when I finish a book. I was able to get Chasing Francis through the public library so it is on its way to my local branch.